So dry, where did all the pee go? 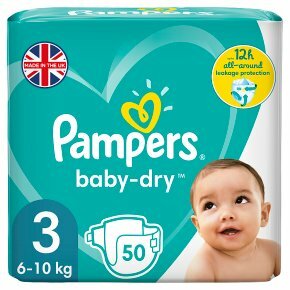 Pampers Baby Dry nappies have 3 absorbing channels to help distribute wetness evenly. For up to 12 hours undisturbed sleep. This is thanks to its unique magic pods, which distribute wetness evenly throughout the nappy and lock it away better, keeping your baby dry the entire night. A dry baby means a happy baby - so nothing will stand in the way of your morning cuddles.